January 26, 2010 by lfllmg · Comments Off on Who needs a tablet? Amidst some of the most spectacular speculation in the history of electronics (even for Apple) every manufacturer is launching some kind of a tablet device, a keyboardless computer with a big screen. This is not a new concept. I was recently playing around with a Compaq Concerto – that incidentally had a keyboard, a pen and a mouse, courtesy of a colleague, that was build 17 years ago. Since then the allure of using the most common way of written communication (a pen) has been just a promise. This year Steve Balmer, Microsoft CEO announced HP’s “slate” back in the Consumer Electronic Show in Las Vegas in a setting that looked more like the Mac commercials than a new category launch. Dell, Lenovo, and others will soon have one too. The big question is why? Acording to ABI Research the world will consume a staggering 450 million laptops in 2012 and [gasp] 650 million smartphones. If you take into account replacement cycles, that is how fast people buy a new one the results are pretty revealing. A laptop, on average get replaced every 3 years, which means that roughly 1.35 billion people will buy one within 3 years. A smartphone, thanks in part to carrier subsidies, is replaced every 2 years, meaning 1.3 billion people will buy one. Of course, they are both the same people! The question is, are those 1.3 billion geeks (what an amazing number buy the way) ready for a 3rd device and all the annoyances (chargers, accessories, batteries, breakage, data plans, network connections, etc., etc.) that come with it? Not so much. Unless: a) It substitutes a device you already carry. b) enhances a device you already carry, c) it changes the way you interact with technology or d) it is so damn amazing that you have to have it. A) Substituting a device you already carry is kind of lame. In order to do that it has to do everything the old device did and more. Kind of what smartphones did for the cellphone. But it comes at a price. That is the approach Microsoft and partners in crime are taking with teh “convertible” laptop. Ever since the Concerto, that approach has failed miserably. The enhanced user experience that touch brings does not justify the extra cost. B) This may be the key to the tablet success. What if you could share your smartphone’s dataplan but have access to a bigger screen when you need it? Charge it and use the same accessories and apps your smartphone or your laptop uses but the experience is so much better due to touch, weight, a better screen and better interaction with your media. In other words, your laptop becomes your “content creation” device and your tablet a “content consumption” alternative with much, much better experience. The question still remains, how much is that worth and will manufacturers and carriers make money? C) Changing the way you interact with technology needs a huge amount of disruption. One approach, suggested here, is to just make it part your your life and go after the time people spend with media in a different way. That is all good, but IMHO, it will still limit the penetration. As I have suggested in previous posts, the internet is desigend for a screem, a keyboard, and a mouse. Last I checked, there are no plans to change that any time soon. Be that as it may, media convergence – your pics, videos, blogs, magazines, books, news “papers”, etc. – in a single point may make sense, but again , at what price? D) Lastly, an amazing device will drive some crowds, especially from the Silicon Valley sweethart even if there is no use for it, like the Newton or Apple TV. This unfortunately is very nichy and I doubt Apple, Microsoft, HP, and others will be making such a splash for a niche. One could argue that the Amazon Kindle, by far the most successful of these form factors (which by the way is expected to sell some 6 million this year, puting it in the category of niche for geeks), has it right. Mainly because it is designed to read books. Anyone that has played with it can see why. Great battery life, great form factor, light, and a brilliant eInk display that is the closest thing to paper that is powerd by a battery. But the key genius of Amazon is not that the device is brilliant, is the business model. Buy a book and voila, it gets delivered to your Kindle without having to worry about a data plan, a monthly bill, or extra charges. It is still a 3rd device, but it substitutes the book, magazines, and newspapers we used to carry around. THe lesson here is subsitute something you carry today and make it simpler, better, and cheaper (at least over the long run). The question is what will the tablets strategy be? 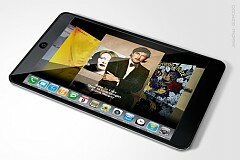 It is tough to say, but as geeky as I am, I will wait before I splurge for the $500 – $1000 tablet plus an extra data plan. For once, a “revolutionary” gadget does not excite me that much. Is it a sign of aging or just a sign of the times? Google is an amazing social experiment. Besides giving bloggers an endless source of topics to write about, it challenges all common sense, business logic, and engineering innovation concepts. 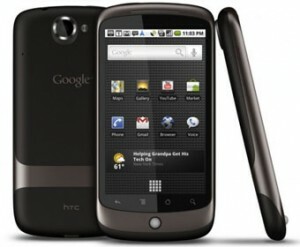 In a very Googlesque fashion, Nexus One was announced during 2010 Consumer Electronics Show in Las Vegas. What is more surprising is that it will most likely be a success. Without having had my hand on it it is tough for me to have an opinion on its performance. But given the engineering track record of Silicon Valley’s favorite they probably nailed it (even if they didn’t you know there will be a Nexus 2). But that is not what will make it a success, nor is that what is surprising about it. Motorola, LG, HTC, Sony Ericsson, and others have or have announced plans for Android powered smartphones. Yet, Google, the author of Android, decides to put out a device that competes with all of them. Moreover, Google does not have to make money from it (even though they will) since it is really a bet on mobile advertisement revenue. So far nobody has found a way to make money on mobile ads, but it is my contention that if somebody can figure it out it will most likely be Google. It is hard to imagine that Google decided to compete with their hardware partners just to make a “few” bucks selling hardware. They most likely did it for the same reason Google does everything else: to disrupt a market. Imagine a world in which you do not have to pay for cellphone service. Pretty much the way you didn’t have to pay for TV in the past. Advertisers paid for it and consumers take advantage of that money flow. I know, I know, those days are waaaay over and not likely coming back anytime soon (until Google has a say). But in the mobile Internet business the biggest barrier to entry IMHO for mobile search to explode is the hefty $30 – $50 a month data fee from your preferred carrier plus a $100 – $300 “club entry fee” for your favorite smartphone. Sure there are hundreds of millions of smartphones out there and there will be more in the years to come, but the mobile search revenue still dwarfs the “fixed” one. Granted usability, contextual value, and other issues are still important. But Apple and Google will shortly solve those. Cost will remain a barrier. Unless, yes, unless it is free. In other words, paid by advertisers. You and I can pick our favorite smartphone subsidized by a carrier to get your voice revenue and Google pays your data plan as long as you search. Weird? Sure, but then again Google is known for its weird business models.